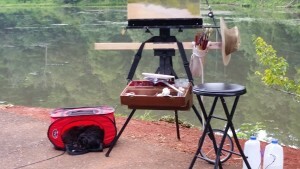 Rudy’s painting and camping with me for the rest of the summer. He loves the adventure. 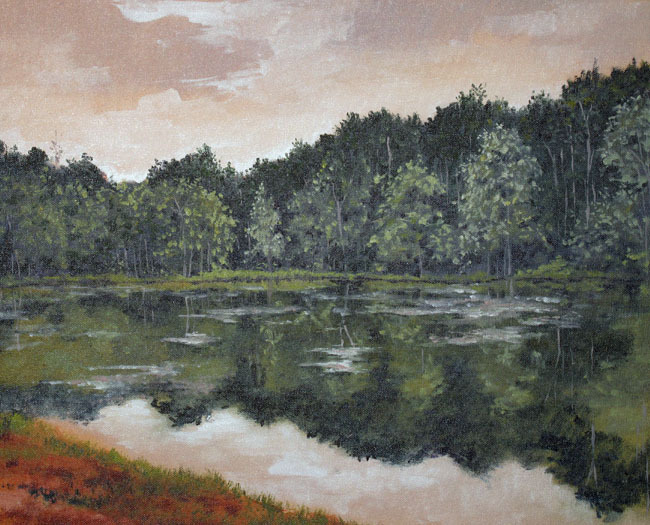 Otter Lake is near Glasgow Virginia. The elevation in the area is less than 1000 ft. Otter lake is created by Otter creak and the Otters and flows in to the James River. 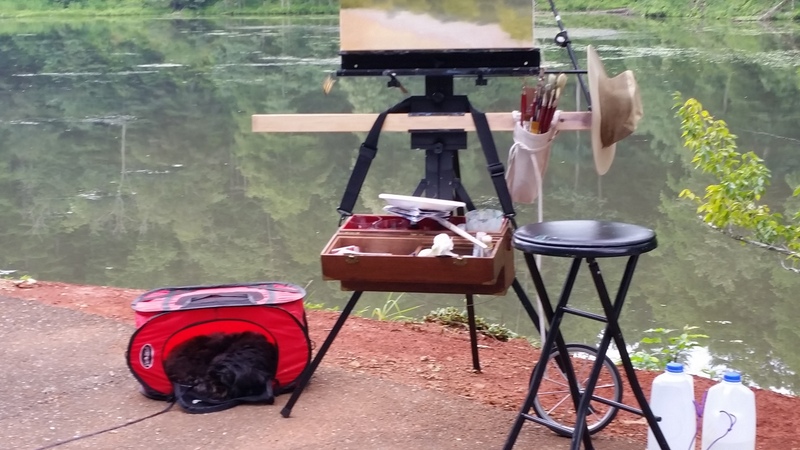 Rudy and I sat up for an early morning painting on a rainy day. I started painting around 7:00 am and painted quickly, by 11:00 am the rain started. The rest of the day we drove around and scouted out other painting opportunities and visited a local museum.